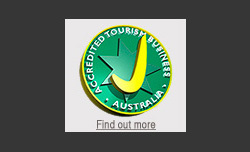 Barossa Valley Winery Tours by Barossa Daimler Tours | Private Wine tours of the Barossa Valley. "When I die, if I have been good, I hope to find myself in the back of John's Daimler on an eternal tour of the glorious wineries of The Barossa". Susan Attwood - The Sunday Telegraph, UK. Barossa Daimler Tours specialise in private, non-sharing wine tours, tailored to our clients personal tastes and interests. We offer exceptional food and wine experiences showcasing the premium wines and gourmet culinary delights of the famous Barossa Valley. We are based in the beautiful Barossa Valley and offer private wine tours including Full Day Barossa Valley Tours. Visit the world famous icon wineries, small family owned gems, upcoming producers or a combination of these. Learn of the history, terroir and culture in great company, with passionate and knowledgeable wine guide, John Baldwin. Enjoy the special treatment at the cellar doors when you arrive with John. Simply relax, sit back and take in the stunning scenery of seasonally changing vineyards and quaint working villages, as John tailors your day to compliment your wine tastes. Meet the winemakers and locals, and share in our close relationships with the industry after 25 years of private wine touring. John's personal introductions are priceless and his sense of humour is memorable. You can be a wine connoisseur, or a keen beginner who wants to learn more about the wine you like, and why you like it! 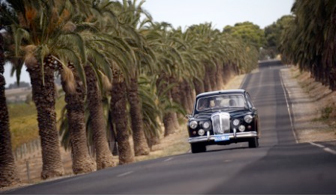 Our air-conditioned, classic 1962 Daimlers offer a rare opportunity to spend a day of wine touring in a little piece of Australia's history. Our Majestic Major Daimlers were brought to Australia for Royal Tours in the sixties & members of the Royal family have included Queen Elizabeth II, the Queen Mother, Princess Margaret and the Duke of Edinburgh. One was used by Harold Holt while Prime Minister of Australia. It's pure luxury for two persons, and when required, they can seat up to 8 passengers - true! You'll spend a memorable day with an enthusiastic and friendly guide who loves to share his extensive wine knowledge with all who tour with him. A full day Barossa Valley tour includes premium wine tastings and sumptuous lunches and afternoon tea at Maggie Beers Farm Shop. Another option for touring is in our modern Mercedes Viano, seating up to 7 passengers and is perfect for Adelaide and Airport Transfers and tours to other wine regions. You may want to stop to taste the cheeses, olives, oils, metwursts, boutique beers and gourmet delights - whatever makes for the best day for you, is the best day for us! "I've travelled the world and this is up there with the best of the best. A pleasure"
Come touring with John to experience outstanding wines, gourmet delights and historic buildings, and learn of the winemaking, terroir, heritage, history and the culture of The Barossa. 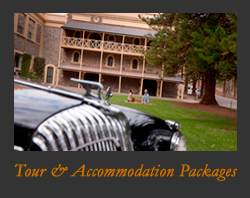 Find all details here, of our standard private Full Day Barossa Valley Tours. We also offer the 'Ultimate Tour' and the 'Icon Tour' which include the high end tastings and experiences exclusive to The Barossa. 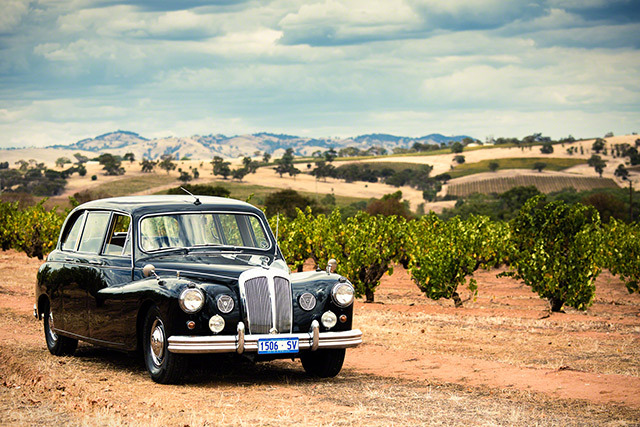 For guests requiring an accommodaiton package, we have the 'Barossa Daimler Novotel Escape' of 2 nights at the Barossa Novotel with full breakfast daily, and a full day tour in our classic 1962 Daimler. See the 'Tours and Prices' drop down menu above for full details. For some more inspiration, have a look at this stunning video of The Barossa Valley, in South Australia. "John has an encyclopaedic knowledge of the region. A restless passion never leaves him as he talks about the Barossa and its wines. This is no ordinary tour operator"
Mukund Padmanbhan - The Hindu, India.